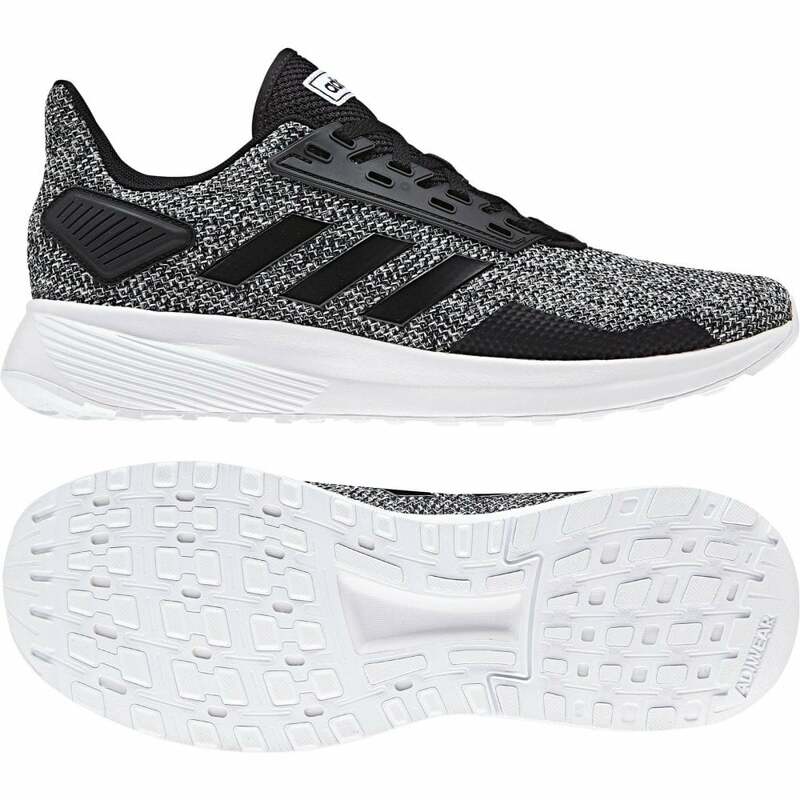 These lace-up ADIDAS Duramo 9 Trainers have a knitted textile & synthetic upper and are grey and black in colour with white detail. They have a textile lining in black with a padded heel and a cloudfoam footbed. ADIDAS branding appears on the sides & tongue and the white synthetic sole has a deep textured rubber tread for excellent grip.